Back in the Twentieth Century, the only way folks could enjoy Gene Autry's on-screen performances was to see his movies in theaters or watch him on television. Here in the Twenty-First Century you can see America's Favorite Singing Cowboy on your computer whenever you want, wherever that may be! 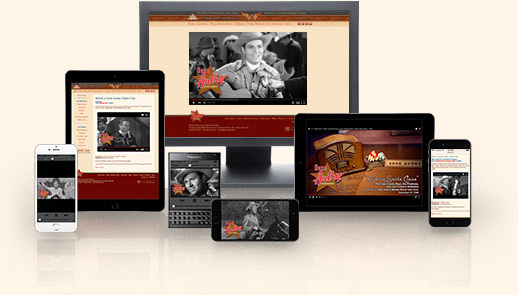 We've selected a few clips to share with you from Gene Autry's motion picture, television and radio careers. From time to time, we'll add more clips that highlight Gene Autry's trademark music, comedy and action from the silver screen and TV screen. For the very latest Gene Autry video clips please visit the Official Gene Autry YouTube Channel.